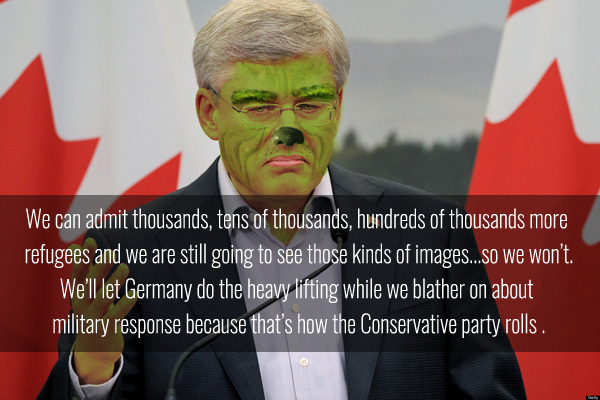 In Stephen Harper's mind the refugee crisis is just another episode of his reality show, The Grinch who Stole Canada. The program's cancellation is long overdue and I know many Canadians wish that the show had gotten the axe years ago! For those of you who, like me, are planning to vote strategically (ABC!) in October's Canadian election. ThreeHundredEight.com's Canadian federal election riding projections are a fantastic tool. You can easily check out which party has the best chance of defeating the Tory's in your area.